Democratic presidential candidate has about a 90 percent chance of defeating Trump, final Reuters/Ipsos States of the Nation project finds. Democratic presidential candidate Hillary Clinton has about a 90 percent chance of defeating Republican Donald Trump in Tuesday’s presidential election, the final Reuters/Ipsos States of the Nation project has found. Clinton’s chances are roughly similar to last week's odds, and any upset by Trump on Tuesday depends on an unlikely combination of turnouts of white, black and Hispanic voters in six or seven states, according to the survey released on Monday afternoon (Eastern Time). 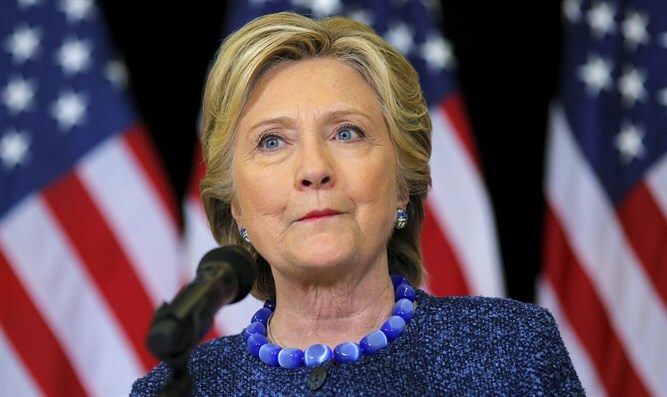 The former Secretary of State was leading Trump by about 45 percent to 42 percent in the popular vote, and was on track to win 303 votes in the Electoral College to Trump’s 235, clearing the 270 needed for victory, the poll found. Trump's chances rest with the outcomes in Florida, Michigan, North Carolina and Ohio, which were too close to call on Sunday, when polling ended, and Pennsylvania, where Clinton enjoyed a slim lead of three percentage points. For Trump to win, he will have to take most of those states, noted Reuters. Any combination of two losses in the Florida, Michigan and Pennsylvania would almost assuredly result in a Clinton victory, according to the poll. At the same time, Trump must hold onto Arizona, a traditionally Republican state where the race is close, and hope that independent candidate Evan McMullin does not claim Utah, another traditionally Republican state. North Carolina, one of the first states to report results on Tuesday night, could provide clues to the outcome, according to Reuters. If Clinton wins the state, it probably means African Americans are turning out to vote at a similar rate to 2012, when President Barack Obama beat Republican Mitt Romney by four points nationally. Romney won North Carolina by two points. In Florida, which is crucial to Trump, Clinton enjoys the tiniest of leads, 48 percent to 47, according to the poll. Michigan and Ohio were too close to call on Sunday, according to the project. Clinton’s support is more solid in Pennsylvania. Earlier on Monday, a final Fox News poll found that Clinton has a four percentage-point lead over Trump. The Democratic party nominee is ahead 48-44 percent, while Libertarian Gary Johnson receives 3 percent and the Green Party's Jill Stein gets 2 percent, the poll found. A CBS News poll released on Monday showed Clinton holding a 4-point lead over Trump, 45 percent to 41 percent.